Coloured contacts are the same as contact lenses you would wear strictly for the correction of your vision. The only difference is that the lenses are tinted for either subtle or noticeable colour changes to the iris of the eye. There are different designs, specific to each manufacturer or brand. Colored contact lenses are also known as cosmetic contacts. solid tinted lenses which are for light eyes only. They have a light tint, usually green, blue, or aqua, that enhances the colour of a light coloured eye. An example is Ciba Softcolors. Acuvue colour enhancers are now discontinued (as of Dec. 31, 2013). Enhancing lenses with pupil hole: these are lightly tinted lenses for those with light eyes, but they have a pupil hole in the centre of the lens for you to see through. An example of this is Freshlook Dimensions. Opaque lenses are made mostly for people with dark brown eyes, although people with other eye colours can also wear them. The colour added to these lenses is opaque, which means that you can't see clearly through it, and these lenses must have a pupil hole so you can see while wearing them. 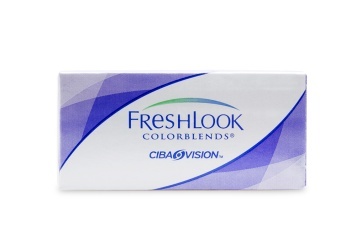 Some opaque lenses are a solid colour, while others have specific designs for eye colour changes, such as Freshlook Colourblends. Cosmetic contact lenses can be purchased from the same contact lens retailers as you would purchase clear contact lenses for vision correction, whether in a store or online. Always make sure you are fitted professionally before buying! Quite a few brands of tinted contacts have been discontinued lately, or will be discontinued soon. So if there is a brand of coloured contact lens that you really like, and you find out they may be discontinued, you may want to stock up! What Are Theatrical Contact Lenses? Theatrical contact lenses, or other decorative lenses such as cat eye, demon eyes, or glow in the dark contacts, are more difficult to find and fit professionally. None of the four most common contact lens providers in Canada are currently selling these type of lens. Many of the coloured contact lenses are even being discontinued. There are also lenses called scleral lenses which are more suited to movie sets than everyday contact lens wear. These lenses are difficult to see through, and larger than most contact lenses. 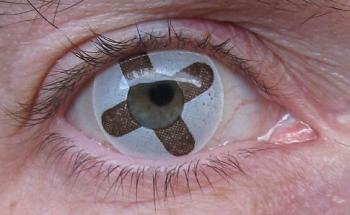 Many people are interested in these lenses for Halloween parties. We do not recommend purchasing these lenses over the Internet, as the health standards in different countries where they are made may be questionable. The risk to eye health, in our opinion, is just too great. If you are interested in purchasing theatrical, scleral lenses, or even white out type contact lenses, you are better off finding a local supplier who will fit these lenses properly, and be assured that they comply with the health guidelines of the country you live in. Who Can Wear Coloured Contacts? Most people who have healthy eyes can wear contact lenses that are coloured for cosmetic use, whether they have prescriptive lenses or not. Those who have 20/20 vision can still wear coloured contacts - they just wear what we call Plano lenses, or with no correction. They are tinted only. For those who do have vision correction, tinted contact lenses are limited in prescription range. High powers, or significant amounts of astigmatism may not come in coloured lenses. The best way to find out if you can wear cosmetic contacts is to see your eye care professional, who will assess your vision and eye health, and advise you from there. Please don't try colored contact lenses, or any type of cosmetic lens, without seeing a health professional first, especially if you have never worn contact lenses before! You will need to be fitted, and trained on contact lens wear if you've never worn. We explain contact lens fittings here. When you go to your contact lens fitting appointment for colored contact lenses, make sure you tell the eye care practitioner that you want cosmetic lenses. You should be able to try on colours to see if you like them. Bring a friend and have some fun with it!